The plain base fashioned of small gold plated brass metal has been embellished superbly with dazzling white CZ stones that produce a hypnotic impact despite the elegantly straightforward style of the bangles. This glittering set of four designer bangles is an ultimate party wear accessory that every woman should own. 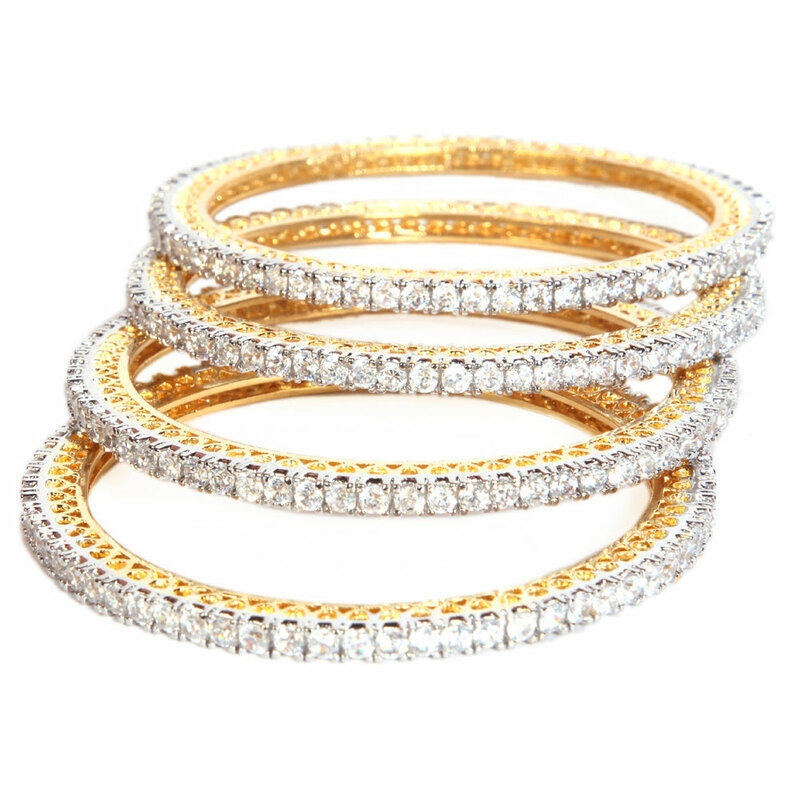 The plain base formed of micro gold Read More..plated brass metal has been decorated beautifully with dazzling white CZ stones which create a mesmerizing effect despite the elegantly simple design of the bangles. Show Less..